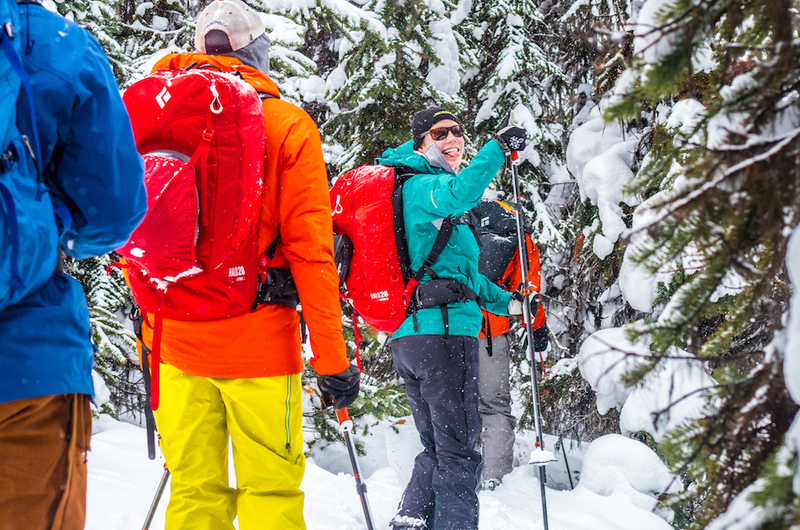 Let’s be honest, there’s nothing better than a good solid adventure with a group of your favourite people. And really, at the core of it, that’s what taking a guys or girls trip is all about. The modern guy’s or girl’s trip is not about spending time with your gender or about escaping your spouse, it’s about surrounding yourself with your favourite humans – people who you feel so comfortable around that you can just be you. And if your spouse is one of those people then you’ve struck gold, hold on to them and bring them along, too! We’ve been in this game a long time and we’re excited to see that today the backcountry is more diverse than it has ever has been. Both men and women, young and senior all sharing their experiences together in this glorious Canadian playground. These kinds of getaways with friends were once a predominantly male majority. We’ve all heard of the “bro’s trip”. 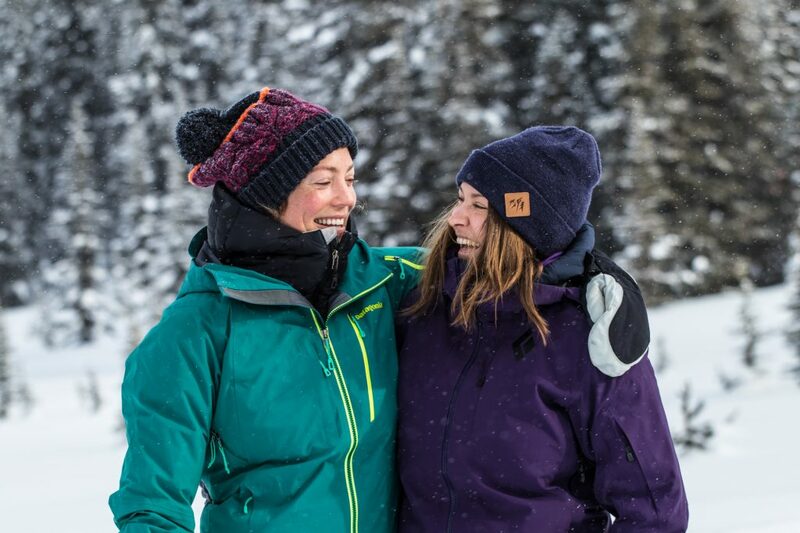 But, the last decade or so we’ve seen a huge (and welcomed) increase in women entering into the backcountry, both professionally and recreationally, with women of all ages and demographics looking for more options and places to create truly unique experiences. 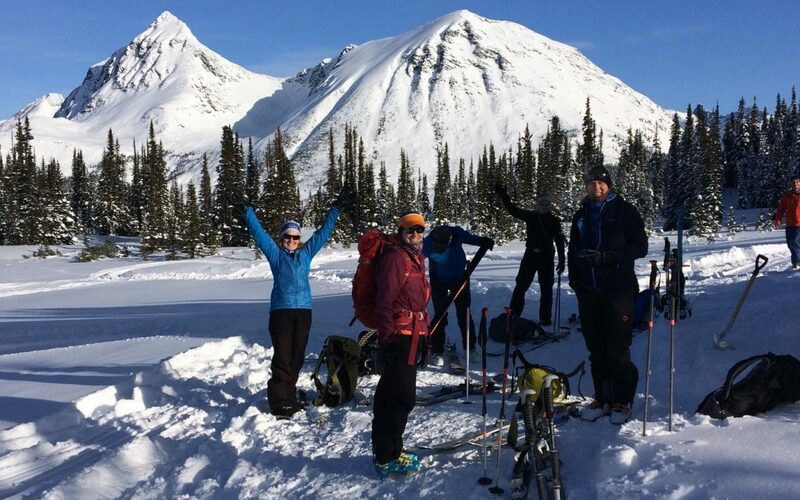 Another exciting trend we’re seeing is the popularity of multi-generational backcountry trips. One of the simple pleasures of a group ski or snowboard trip is dinner time. A special part of the day when the comradery of cooking and sharing a meal and reminiscing over the day’s lines can be felt by all in the room. Unlike a self-catering hotel with a kitchenette or a shared kitchen, at the Mallard Mountain Lodge our house is your house. Guests take over the whole ski lodge for their stay including the full kitchen complete with gas stove and large family-sized refrigerator. With almost 360º views from the windows in the dining area, cooking here is pleasure all to itself. 2. If you can see it, you can ski it…& probably even name it, too. 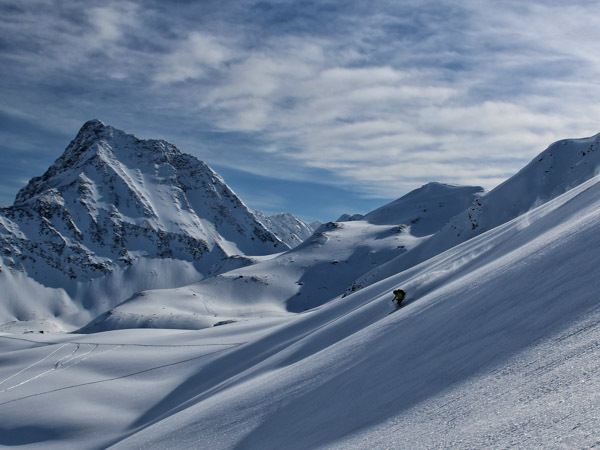 Imagine skiing a line and naming it after your group or an inside joke between you and your best friend. 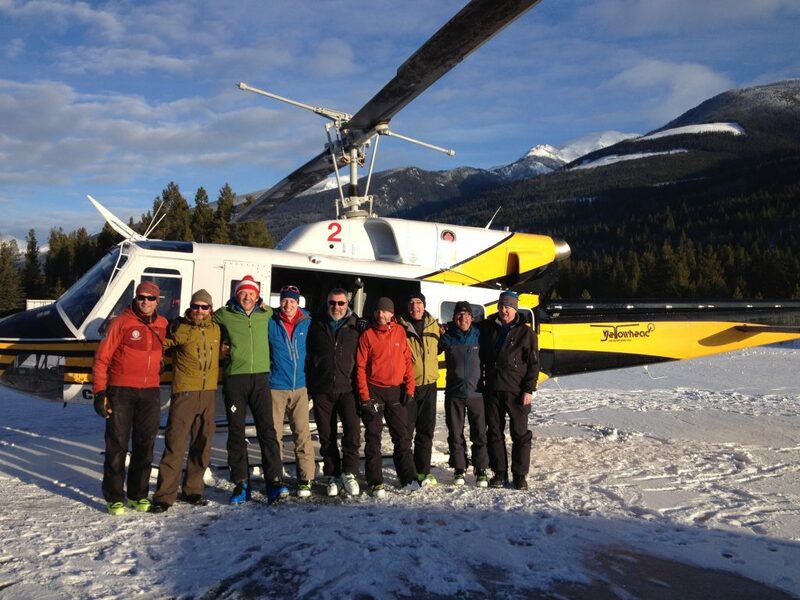 The Mallard Mountain Lodge is so remote that most of our terrain is either is still first descents or unnamed zones. Bad Penny, Dessert, and New York New York were all named by guests of our backcountry ski lodge. 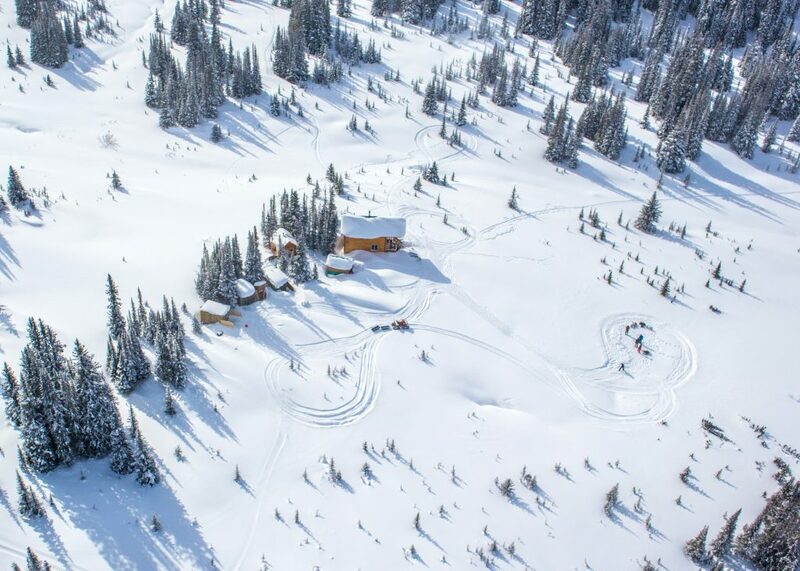 One of the best things about being BC’s most remote backcountry ski lodge, is privacy. When your nearest neighbour is over 70km away there’s no-one to tell you to turn it down and no need to get to bed early in case you miss the powder. No-one is poaching your lines here, so settle into a fun week or long weekend of taking life at your pace. Imagine booking a trip to a hotel in the Canadian Rockies and finding out that the price of your stay is included helicopter flights to and from your hotel. You’d be stoked, right?! Well, today is your lucky day. That is exactly what you get here at the Mallard Mountain Lodge. Being BC’s most private and remote backcountry lodge, meant building this home-away-from-home deep in the BC wilderness just a stone’s throw west of the border with Jasper National Park. At over twice the industry average, the helicopter ride into Mallard Mountain Lodge is a wonder-filled 77km taking around 30-35 minutes. To place a booking or inquire about booking our backcountry lodge for your ski touring or backcountry snowboarding trip, call (250) 835-4516 or fill out the form on our Rates & Dates page. We can’t wait to see you!